Gloucestershire had a thriving Jewish presence in the Middles Ages, however the current community dates back to the early 1800s, which saw a modest increase in Jewish families moving into the booming spa town of Cheltenham. In 1823 they established the Cheltenham Hebrew Congregation and in 1824, land was purchased in Elm Street for a cemetery; this is still in use. In 1837, a young local architect, William Hill Knight, was commissioned to design and build a Synagogue which was consecrated on 14th May 1839. 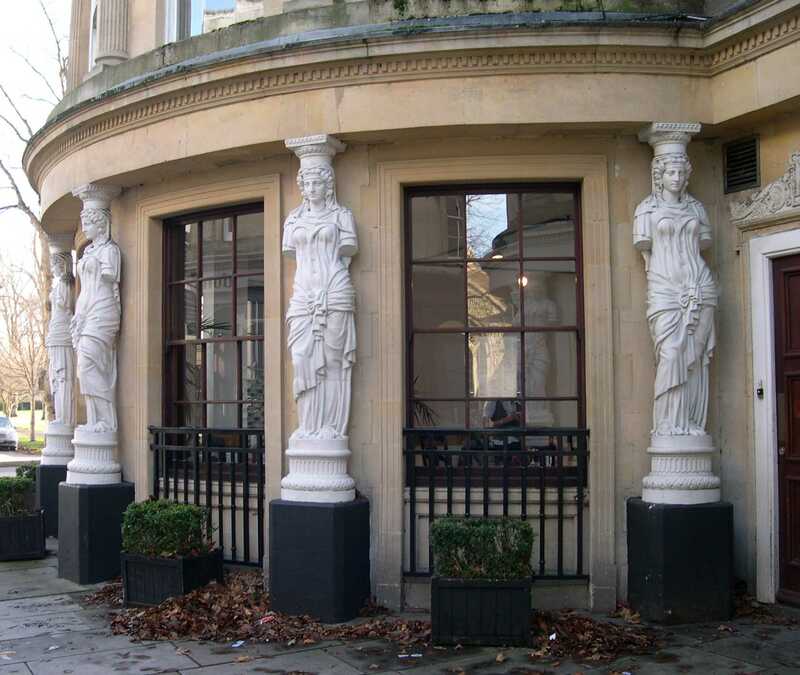 Knight then went on to create Montpellier Walk as a shopping precinct with caryatids. 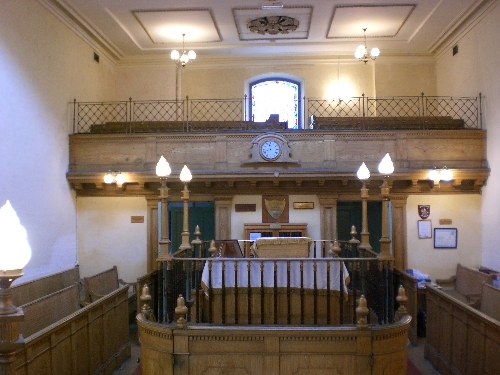 The synagogue furniture, the pews, bimah and the Ark, was given to the Congregation by the New Synagogue in Leadenhall Street, London which was being dismantled before being rebuilt and enlarged. Dating from 1761, it is thus the oldest Ashkenazi furniture in Great Britain. There are two unique plaques on the walls of the Synagogue, one in English being a Prayer for Queen Victoria and the Royal Family and the other, in Hebrew, which is a prayer from the Yom Kippur Service. When the plaques were cleaned some years ago, restorers found the names of Kings going back to George II, which dates the plaques to as early as 1727. The Synagogue had some 75 members in 1845 - 50 but this number declined until, in 1903, the Synagogue closed. However, in 1939, it re-opened due to an influx of evacuees, refugees and members of the armed forces including many from local American Bases. The Synagogue has remained open ever since. A full account of the Community's history, The Hebrew Community of Cheltenham, Gloucester and Stroud, by Reverend Brian Torode, is available using this link. Most of the the Congregation's archives are now kept at Gloucestershire Records Office, having been kept in the Synagogue until 1979, when many were moved by a warden and trustee, Dr A. Goldfoot. To secure preservation of its remaining archives, the Synagogue recently added to these all documents dated pre-1999. In addition, a limited number of records are kept in the library of the University of Southampton's Hartley Institute, which has probably the largest collection of archive material in Western Europe relating to the Jewish people.